Inside the package, you’ll find 200 Timewarped Badges, a Celebration Package item to increase experience and reputation gains by 14% for 1 hour, and a “Letter from the Timewalkers,” which will start a new quest leading you to either Orgrimmar or Stormwind. New Toy! Overturned Corgi Goggles: Change how you see the world around you when you use this new toy. 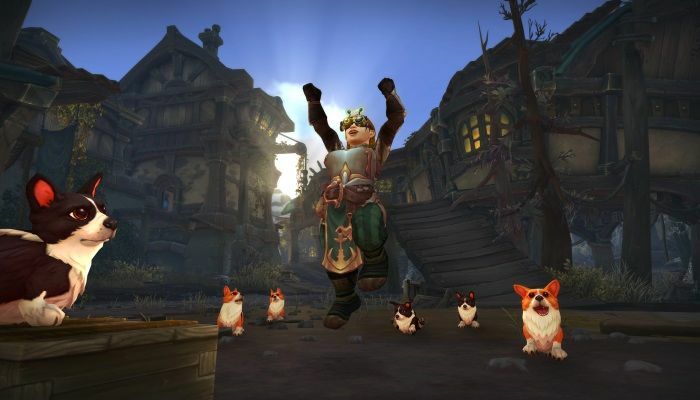 While active, friendly NPCs will appear to be such good boys and girls all year round.